On Monday, I got to enjoy the company of the cutest little poppet and her lovely Mum. Pearl had popped over to celebrate her 1st Birthday, by smashing up a pretty cake. 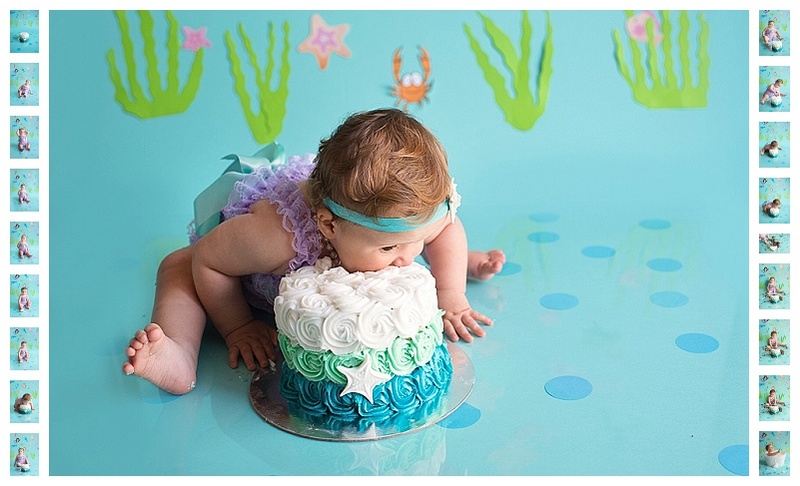 Pearls Mum had found a gorgeous little lace ruffle set with an ocean theme, so, we decided to do a Mermaid cake smash session. 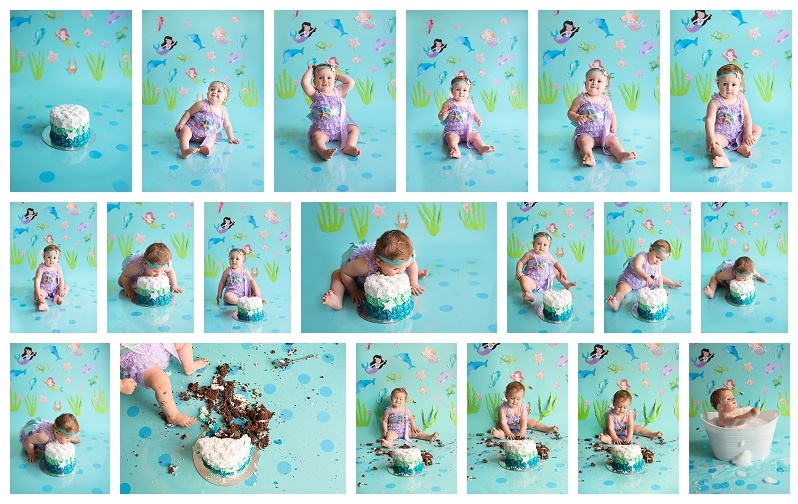 Pearl was hysterical, she dove right into the cake face first! Took a big bite and said hmmmmm! Mum and I had such a laugh! Pearl you are so gorgeous, I have loved going through and editing your blog photos.